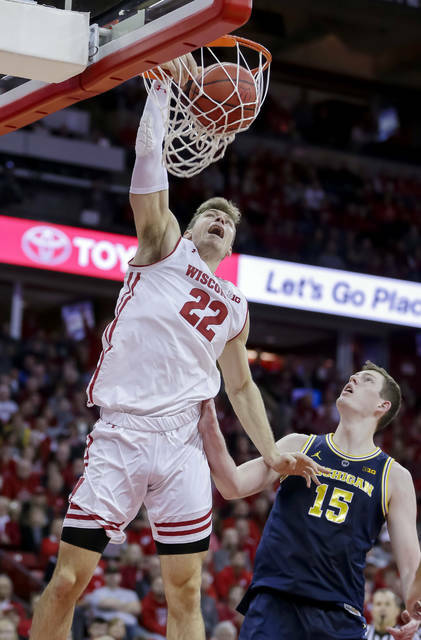 MADISON, Wis. (AP) — Ethan Happ and the Wisconsin Badgers finally closed out a tight game. Against No. 2 Michigan, too. 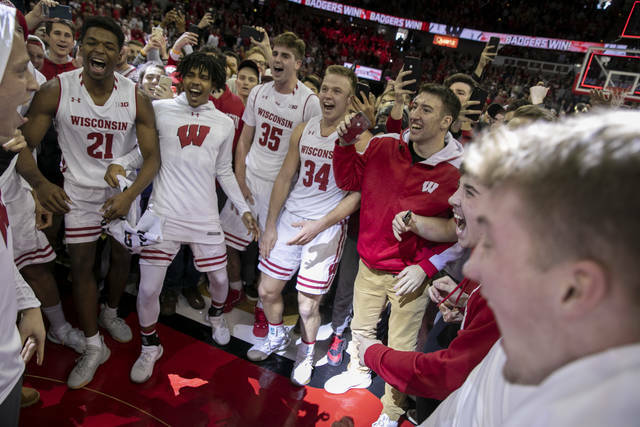 “This group’s mentality, even with the struggles we’ve had, has always been a fighter’s mentality,” Badgers coach Greg Gard said. The Wolverines closed within 57-54 on Isaiah Livers’ 3-pointer with just under a minute to play. 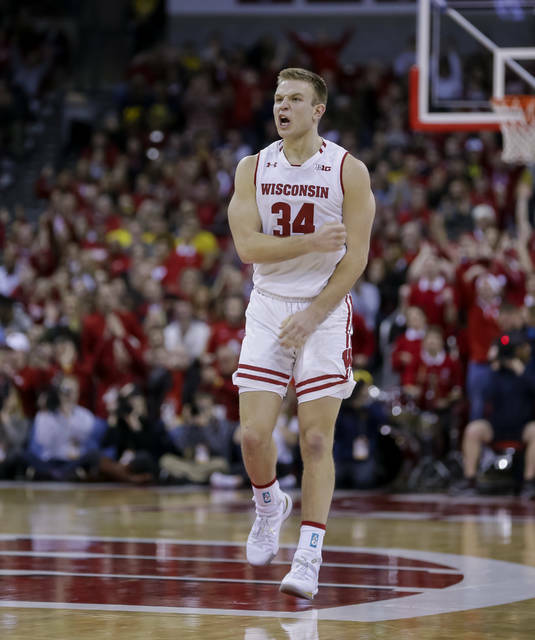 Michigan put on a full-court press that the Badgers broke, and Ignas Brazdeikis was whistled for an intentional foul on Happ, who was across the court from the ball. Beilein said he wasn’t given an explanation on the intentional foul seemed mystified by the call. Beilein said he told the referees Michigan was going to foul. Gard, however, said it was a point of emphasis following last season for fouls where there’s no play on the ball. Along with Happ’s scoring and rebounding, he did the little things well, teammate Brad Davison said. That included diving on the floor midway through the second half to secure a loose ball and call a timeout. The foul on Happ wasn’t the only thing that didn’t go Brazdeikis’ way. The freshman came in averaging 15.6 points a game, but was held scoreless in 23 minutes, missing all five of his shots. He also was limited by foul trouble, including two in the first half. On one, he tried a behind-the-back pass in the lane while driving toward the hoop, but was called for a charge. “He got himself into foul trouble, and it’s very typical what happens to freshmen,” Beilein said. Michigan: The Wolverines would’ve had a good case to make as the No. 1 team in the country with a win following Duke’s loss in overtime Monday. Instead, Michigan lost for just the first time since last season’s national championship game.